We want to again thank all those who have graciously given to our fundraiser to support Jenn in our efforts to get her treatment. We are humbled and grateful! Thank you also for all prayer support as we have needed it. Our current living situation has gotten very complicated and there have been many hiccups over last month. As some of you may know Jenn is very sensitive to mold and the mycotoxins that come from them. To give you the short version, our RV has mold in it and also a leak that had been dripping for some time under our refrigerator (due to misplacement of condensation tray) that lead to a great deal of mold. A leak was also found under the oven, mold was found in the pantry and under our mattress. We have been staying in a hotel for the last month and having our RV fixed, but this in itself has been a battle to fight with the dealership along with the manufacturer warranty department. We finally got them to replace the plywood under the fridge but the RV still has had enough mycotoxins to keep Jenn sick or from improving. So we have many decisions to make as we move forward and until warranty reimburses us for the hotel stay we have run out of money to continue treatment for Jenn. One of the reasons we came to Bellevue was to see a systemic dentist to get Jenn's TMJ, bite issues, and jaw aligned. That has been entirely paid for and the results from that will come in time as she has more months of wearing appliances and receiving adjustments. Her jaw is starting to improve along with her severe TMJ, although each adjustment wears on all her muscles a lot and has been reminded to stick to soft foods, which she has NOT and learning through pain that maybe she should start following his direction. :) As far as IV treatment Jenn's main/primary doctor here would like her to try 10 pass ozone treatment (this helps get rid of basically all infections and mold) which is a really intense therapy and they would start her at only 3-4 passes to see how she does. We made the appointment for her Jan 4th for this treatment but have had to cancel it for now until she can work her way up to it and more funds become available. As a reference, a healthy person could walk into a clinic and do a 10 pass ozone treatment and feel refreshed/rejuvenated. Jenn is so sensitive and sick she can't do 1/10th of that treatment yet. We have seen some windows of improvement for Jenn and we soak up every second we can and give God all the praise. 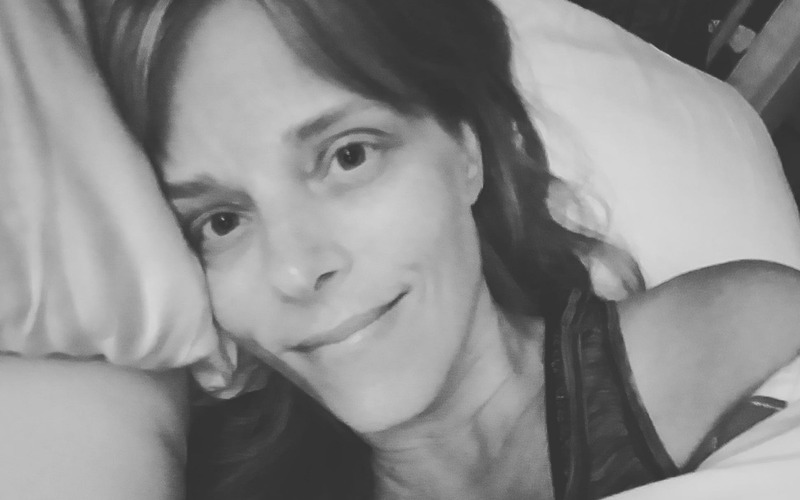 Jenn continues to battle on and although there are still moments of wanting to give up she fights on with Gods strength in her all the while encouraging other chronically ill friends with helpful information, friendship, love and the hope God gives us. We would like to thank everyone who has graciously given their financial support thus far for Jenn. We are humbled and thankful. The Doctor Jenn is seeing ran many labs and tests along with another MRI and neuroquant MRI of Jenn's brain. Jenn's labs show high in aspergillus mold along with co infections like mycoplasma. Her MRI still shows white flair matter which has been indicative of lyme in her brain. The Neuroquant portion points to areas that have been decreased in volume and had been assessed to point to mycotoxins. She continues to battle through a long list of symptoms ataxia being a major one. Doctor has moved slowly with Jenn which is wise. She just finished 3 weeks of neural injections (which assist her autonomic nervous system) in her neck, head and upper spine along with hyperbaric chamber sessions and IV drips. She is now progressing into different IV therapy (BOT/ozone) along with some other modalities. The doctor has repeatedly said that their is an infection in Jenn's neck and brain and believes its the Lyme, but now having confirmation from MRI and labs with high mycotoxins, plus knowing Jenn's genetic issues, we know those are playing possibly a larger roll with all of this. We are set to see a specialist to help realign Jenns jaw, as this may help greatly in allowing things to drain from her head, which in turn may help her neurologically. At this rate, we only have a couple weeks left in our savings and realize we will need to continue longer to see if we can progress further with Jenn in hopes to get her fully functioning again. This has been a long road and Jenn continues to hold on to her faith and hope amongst the hard symptoms she endures and the discouragement that tends to creep in. Your prayer support for her and our family has meant so much and we graciously thank you for your encouragement and love! Our names are Bill and Rita Crawford and this fund raiser account is for our courageous daughter Jennifer who has been enduring the effects of Neurological Late Stage Lyme Disease along with other biotoxins like mycotoxins from mold. Both Jennifer and her husband Rick are uncomfortable in asking others for money, knowing full well that there are more severely ill people in this world and many in financial distress who need assistance themselves. So we are humbly asking on their behalf your prayers for peace, strength and healing and for any financial help that you are able to provide towards Jennifer’s second wellness journey; please spread our request for help. They are going to use the fund in combination with their small savings for paying clinical treatment sessions, medications and supportive supplementation. Jennifer has had over 20 years of health issues, and six years ago an injury to her neck and a severe bout of meningitis has made it difficult for her to function. The injury started her neurological issues and greatly affects her equilibrium, therefore no driving. She has been treated by many naturopathic doctors and specialists like ENTs, neurologists, gastrologist, cardiologists, chiropractors, Atlas specialist and Physical Therapists. A top functional neurologist on the west coast immediately knew she had inflammation in her brain and confirmed that she has Lyme disease. Unfortunately, his eye and brain rehab procedures sent Jennifer into seizure like activity (stuttering/pots/left sided weakness/unable to walk), so she had to stop the treatment. Three years ago Jennifer was a treated at a nationally well-known clinic in Florida which specializes in Lyme disease and other bio toxins (mold and industrial toxins), but after six weeks we were not able to keep her there due to severe toxic effect on her liver and pancreas from the treatments (they had no health insurance for emergency services). For five weeks they tried another Lyme specialist that was less aggressive with minimal results. Returning to Idaho, her attitude to get better has always been to endure and have a positive mindset; however she only seems to get worse. While home, Jennifer has had six medical procedures that have debilitated her body even more. Seeing that Jennifer was not improving, they sought another well-known natural doctor in town, but after seven months there has been little to no improvement. Near the end of June 2018, it was discovered that there was mold in leased home that they have been living in for the past two years. Jennifer battles a myriad of symptoms from neurological to structural to digestive to her autonomic nervous system with head symptoms being the worst. She has been relying on her family for basic activities of daily living, but now that every member is working and with their oldest son getting married soon, it is more difficult to provide assistance when she needs it. Rick and Jenn have been researching and praying over what to do. Jennifer desperately wants her life back and has dipped in and out of despair and depression not knowing if her head and body will ever be healed or just functioning better. This is all very hard for her family to watch as we feel helpless. In the last year they have been researching, networking, and watching others who are going through similar struggles to determine what path to go down next. They have considered a lot of options and have committed to start with a couple highly rated doctors in Bellevue, WA. If needed, they are also considering stem cell treatment. Please understand that if there are new developments that may take them in a better direction for treatment then this fund would support that as well. She continues to encourage many people through openly sharing her difficult days yet praising the Lord for walking with her and giving her occasional windows of some relief. She is grateful to God for the abilities she still does have as Jennifer’s faith remains strong through these hard trials which strengthen and solidify our faith in Him. This has helped her get through the difficult times. Jenn is very touched and grateful for the love she continues to receive from her family and friends during her battle with this disease. Please help us spread this far and wide. We will keep this page updated weekly once there is enough funds and support to start this critical wellness journey. Also, our prayer is that she may be a testimony for others suffering from the same or similar ailments. You are an inspiration. You demonstrate the courage and faith in the Lord that give hope to many who might have given up until they heard you. We love you so much! A generous gift from Betty Pangborn. Thank you, Betty! Happy Birthday! We love you and pray for you daily! Praying for you, Jen. I hope everything is going in the right direction. God bless! To help our precious daughter. We love you so much!